This year, I got brave and took our family photos. 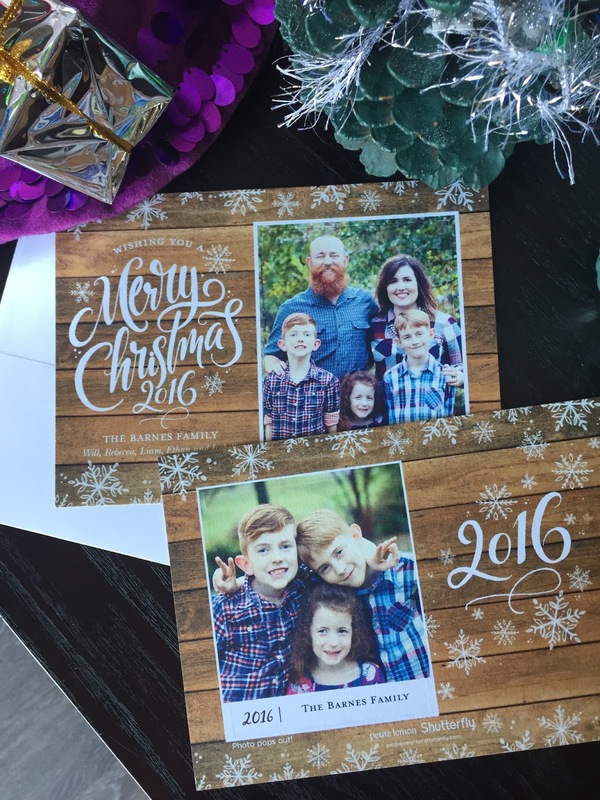 Shutterfly is my go-to site for Christmas cards. When I realized a couple of my coupons were about to expire, we took our photos in the backyard (while it was drizzling!). Most years, I browse through most of the Christmas cards on the site before deciding on one. This year, the card for us was obvious when I saw it. This is the card we chose, and we are so happy with it! The rustic background and crisp, white font are definitely our style. The coolest thing is that the picture pops out. We have our family picture on the front and a picture of the kids on the back. That way, our friends and family get two pictures! Where do you order your Christmas cards?